1. 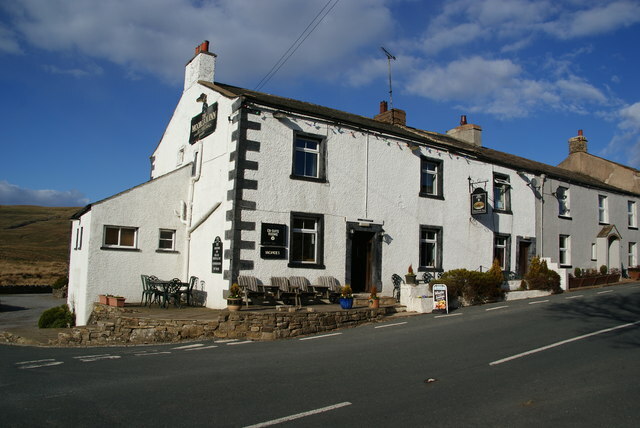 ASKRIGG, Crown Inn, Main St, DL8 3HQ (01969 650298): At top of main street serving food lunchtimes and evenings, popular with visitors and locals alike. Inside, the main bar has been opened out from two rooms but still retains two coal fires, one of them an impressive cast iron rage. A further room, also opened out from the main bar area, leads off on one side and contains a dartboard. 2. ASKRIGG, King’s Arms, Main St, DL8 3HQ (01969 650817): Historic old pub in centre of the village, featured in TV’s “All Creatures Great and Small”. A bar serves two stone-flagged rooms; a third, more comfortable lounge with partitioned seating is at the front and a vaulted games room to the rear. There is a small outdoor drinking area in the yard. Now part of the “Holiday property bond” company. 3. ASKRIGG, White Rose, Main St, DL8 3HG (01969 650515): The former Winville Hotel only gained a full licence in 1999 and was substantially modernised before reopening in 2005. Now locally dubbed ‘the middle house’, it has three large and comfortable rooms with a conservatory-style dining room and beer garden at the rear. 4. 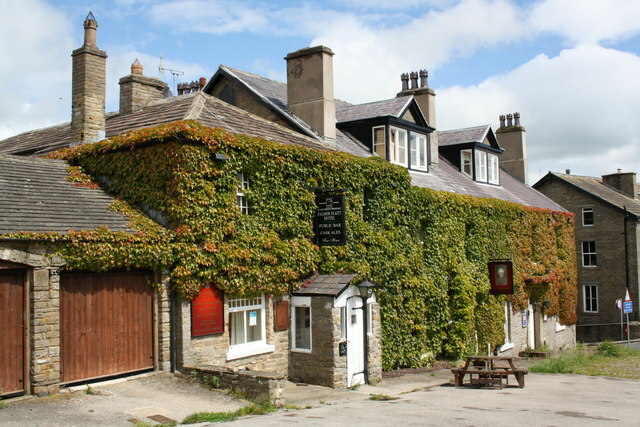 AYSGARTH, George & Dragon, DL8 3AD (01969 663358): A friendly, traditional style Dales inn on the A684. It has distinct drinking and dining areas and the patio at the front has pleasant views of the dale. 5. AYSGARTH Henderson’s Bistro, Westholme Estate, DL8 3SP (01969 663268): On a development of eco-lodges formerly a caravan park and campsite. Opened in 2009 following a conversion from the campsite reception and bar. Very modern decor. Fully wheelchair accessible. 6. AYSGARTH, Aysgarth Falls Hotel, DL8 3SR (01969 663228): Situated on main A684 a few hundred yards above the famous Aysgarth falls, this imposing residential hotel has its own fishing stretch on the River Ure. 7. BAINBRIDGE, Rose & Crown Hotel, DL8 3EE (01969 650225): A large whitewashed building overlooking the village green which claims to trace its origins back to 1445. The low-beamed, stone flagged bar is frequented by locals and with a pool table TV and jukebox is frequently noisy. A number of other small rooms with old oak furniture are used by diners and there is a separate restaurant. An outdoor drinking area overlooks the large car park to the rear and there are also tables out to the front looking onto the site of the Roman fort. 8. CARPERBY, Wheatsheaf Hotel, near Leyburn, DL8 4DF (01969 663216): Comfortable hotel and village pub a mile north of Aysgarth Falls. The hotel, with its four-poster beds, has been awarded three crowns by the English Tourist Board and has its own entrance, lounge and dining area. The public bar features inter-war style woodwork, beams and fireplace; the bar has a TV and is decorated with football pennants and there is a tiny one-table snug to one side. 9. GARSDALE HEAD, Moorcock, Sedbergh, Cumbria, LA10 5PU (01969 667488): This isolated pub is tucked just inside the westernmost tip of North Yorkshire (despite its postal address), a few hundred yards from the settlement of Garsdale Station on the famous Settle to Carlisle railway. Inside it is divided into two rooms, a cosy stone-flagged lounge and a comfortable bar offering a varied menu. Open all day, every day. 10. HARDRAW, Green Dragon Inn, near Hawes, DL8 3LZ (01969 667392): Old Dales pub at entrance to the Hardraw Force waterfall, a noted beauty spot (£2 admission, pay at the bar). The licensee is committed to traditional beer and music. Recently refurbished, the main bar has been divided into three rooms and is now much cosier with stone floor, low beams and two impressive ranges. An extension contains a function room and 18 letting rooms. 11. HAWES, Old Board Inn, Market Place, DL8 3RD (01969 667223): Comfortable one-bar pub with coal fire and serving food. Part of the Enterprise Inns chain. 12. HAWES, Crown Inn, Market Place, DL8 3RD (01969 667212): Large pub on main street. The attractive interior has been opened out to form two main rooms but retains a distinct old-fashioned feel with old pictures, brasses and iron artefacts on the walls and ceiling. The lounge at the front has a coal fire at each end, while the bar to the side is partly partitioned, the front half containing a bar billiards table. 13. 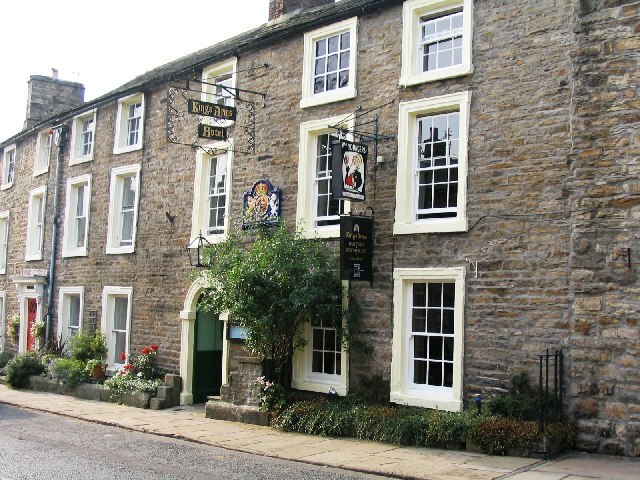 HAWES, Fountain Hotel, Market Place, DL8 3RD (01969 667206): Free house with opened up interior and coal fire. Good value food. 14. 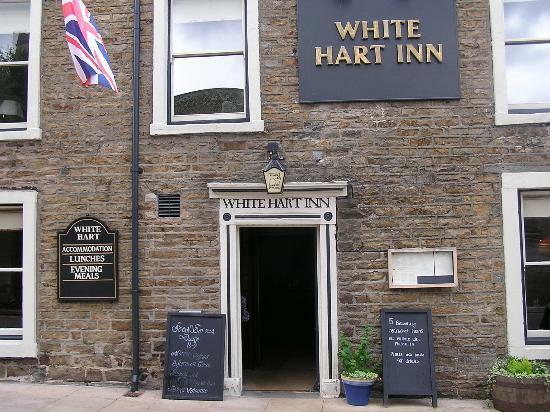 HAWES, White Hart Hotel, Main St, DL8 3QL (01969 667214): Old pub on narrow cobbled street, reopened Autumn 2011 after complete refit, decorated in a contemporary feel without sacrificing the essential character of the place. Downstairs there is a traditional style bar divided into in two sections, one with an open fire and the smaller room displaying darts board and trophies. There is a separated dining room and bed & breakfast is also offered. 15. NEWBIGGIN IN BISHOPDALE, Streethead Inn, DL8 3TE (01969 663282): Modernised 17th century inn attracting trade from nearby caravan site and YHA bunk barn. There is home cooked food served in bar or restaurant en-suite accommodation and dogs and children are welcome. Sunday carvery. Shut Monday and Tuesday lunchtime out of season. 16. THORALBY, George Inn, near Leyburn DL8 3SU (01969 663256): Small off-the-beaten-track village pub a few hundred yards off the B6160 Bishopsdale road. The interior has been opened up into a single room but it is still very cosy and has two distinct halves. At one end is a particularly impressive stone fireplace. 17. 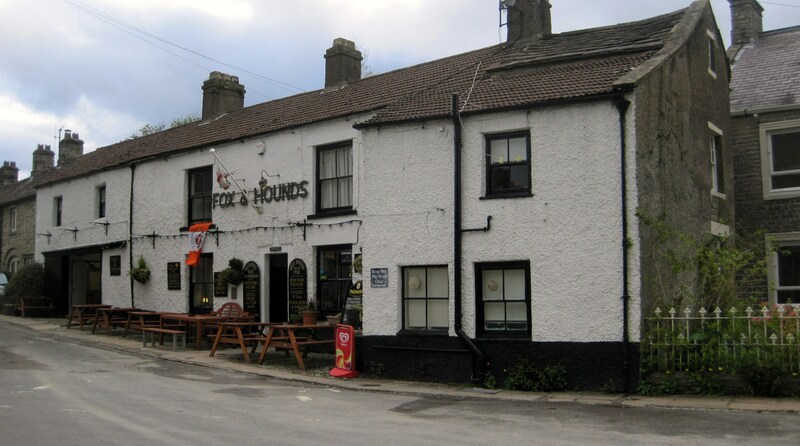 WEST BURTON, Fox & Hounds, near Leyburn, DL8 4JY (01969 663111): This extremely attractive village lies just off the Wensleydale – Kettlewell road and is set around a large green. The only pub is close to the unusual weather vane monument and stocks on the green and is popular with walkers. It features a narrow, low-beamed bar with imposing stone fireplace, along with a separate dining room. Bar food is serves and there is en suite accommodation to English Tourist Board 3 crown standard. The guide is copyright of CAMRA and intended for private use only. Reproduction or commercial use of the data is not permitted without the express written permission of CAMRA North West Yorkshire.